George Washington - a figure synonymous with American history. His image is known worldwide, marked on American currency, postage stamps - even a state is named after him. George Washington in an Hour explores the man beneath the symbol. This is the essential chronicle of Washington's life - his rise from middle class Virginian upbringing to America's first President, elected unanimously twice. Explore Washington's legacy - from securing Independence, to his instrumental role in writing and adopting the American constitution. George Washington in an Hour covers Washington's redefinition of greatness, relinquishing power not once but twice - at the end of Revolution and his second term in Presidency. 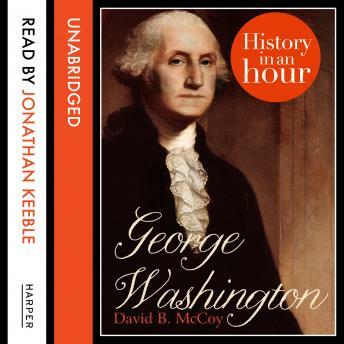 Learn why Washington is still considered one of the most influential people in history, and how his impact shaped the world in this engaging overview of his life.